The painting belonged to Amalie Redlich who was deported to Poland in 1941 and murdered. 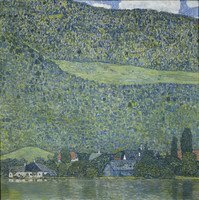 Her heir and grandson, Georges Jorisch of Salzburg, will receive the painting. Austria is one of 44 countries that agreed to non-binding principles to return Nazi-looted art in public collections to the prewar owners and their heirs.